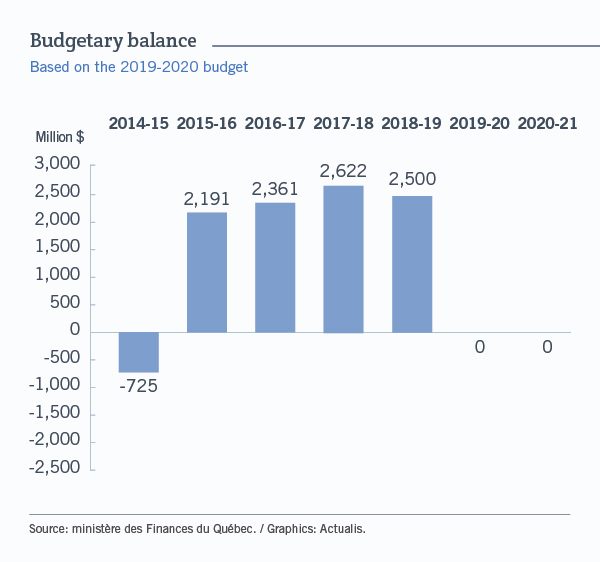 On March 21, Quebec’s Finance Minister tabled the first budget for the CAQ government. Expectations were plentiful, especially with regard to the use of the significant budget surplus that was anticipated. 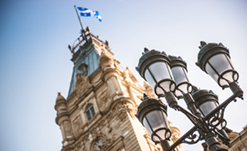 On the eve of the first budget tabled by Finance Minister Éric Girard, observers did not fail to highlight the contrast between the Quebec government’s financial situation and that of the federal government, with the latter having made use of deficits to support its economic measures. In this respect, the contrast remains, with the Quebec government forecasting a surplus of $2.5 billion for the current fiscal year. However, it is planning to use all of the funds at its disposal for the next two fiscal years. Beyond the matter of the budgetary balance, here are 9 measures worth noting for their possible impact on personal finances. To begin with, even if the government intends to reduce the tax burden for Quebecers, it doesn’t seem as if it will come through widespread income tax cuts this year. Instead, the budget offers relief from certain taxes, such as the additional childcare contribution required from families above a certain income threshold (also known as the “family tax”). Starting in 2019, the threshold for applying this tax will be $78,320; it will rise to $108,530 in 2020 and to $140,065 in 2021. Finally, in 2022, the tax will be completely eliminated. Similarly, the budget provides for the standardization of school tax rates, which could result in savings for some taxpayers. Two measures could be of particular interest to experienced workers. The first is the implementation of the “tax credit for career extension” that applies to workers aged 60 or over (eligibility for the previous tax credit was age 61). With this tax credit, those who decide to stay in the job market after age 60 will have their basic exemption increased by $10,000, which could result in a tax decrease of up to $1,500 per year. The second measure is somewhat of a counterpart to the first, but for owners of SMBs who hire experienced workers. The budget provides for a payroll tax cut in the form of a tax credit that increases with the age of the employee. This credit could reach 50% for workers aged 60 to 64, up to a maximum of $1,250 per worker. And for workers aged 65 and over it could reach 75%, up to a maximum of $1,875 per worker. If you own an SMB, the rules around the Small Business Deduction (SBD) are probably a recurring topic of discussion with your tax specialists. You might want to note that the Quebec rules, which have now been harmonized with the federal provisions for passive income, still limit the SBD to businesses with at least 5,500 hours of paid work. So these are two criteria that need to be taken into consideration. Again, if you run an SMB, you may face challenges related to expanding your operations and recruiting employees. In this respect, the government is implementing an envelope of up to $1 billion to support the growth of Quebec businesses and retain head offices in the province. As well, funds totalling $730 million will be provided to support immigrants and help to speed up their entry into the labour market. If you plan to renovate your home and were thinking of using the RénoVert program to reduce your costs, be aware that the government has decided not to extend this tax credit. This means that you have until March 31 to sign a contract with a qualified contractor and until December 31 to have the work done. This tax credit equals 20% of the portion of the total cost that exceeds $2,500, and the maximum claim is $10,000. On the other hand, the Drive Green program, designed to promote the purchase of electric vehicles, is continuing. This program offers a rebate of up to $8,000 for a new vehicle. Unlike the program announced by the federal government in its last budget, which is limited to vehicles priced under $45,000, Drive Green applies to purchases to a maximum of $60,000. With the aging of the population putting financial stress on any number of families, the budget provides funds to help seniors remain in their homes. Some $280 million in additional support will be available starting in the next fiscal year, amounting to $1.5 billion over five years. Finally, if you live or have a business in a remote area, you will probably want to note that, like his federal counterpart, Minister Girard announced his intention to support the implementation of high-speed Internet in every region. The government plans to invest $400 million over seven years for this purpose. Obviously, this is just a brief overview. To find out more, refer to the documentation published by the Ministère des Finances. You will find it here. Ministère des Finances du Québec, “Budget 2019-2020”, 21 mars 2019 ; Finance et investissement, “Garde d’enfants : vers une abolition de la taxe famille ; Incitations fiscales visant les travailleurs d’expérience ; DPE : la règle des 5 500 heures maintenue”, 21 mars 2019 ; ici.Radio-Canada.ca, “Les faits saillants du premier budget de la CAQ”, 21 mars 2019 ; lapresse.ca, “Budget Québec 2019 : feu vert aux dépenses”, 21 mars 2019 ; lesoleil.com, “Programme bonifié pour l’acquisition de véhicules électriques”, 21 mars 2019 ; TVA Nouvelles, “Voici 10 choses à retenir du premier budget caquiste”, 21 mars 2019. In collaboration with Desjardins Financial Security Independent Network. © All rights reserved. Desjardins Financial Security Independent Network 2019. Desjardins Financial Security Independent Network is a registered trademark owned by Desjardins Financial Security. Mutual Funds representatives act on behalf of Desjardins Financial Security Investments Inc.
Mutual Funds are offered through Desjardins Financial Security Investments Inc.